NEWS ALERT: On Thursday, December 13th 2018 the Department of Education announced that they’re immediatley approving $150,000,000 in Borrower’s Defense to Repayment Discharges, including discharges for people who attended ITT Tech. If you’ve already submitted your ITT Tech BDAR application, then there’s a really good chance you’ll receive forgiveness during this wave of approvals, so you’ll want to watch your email closely as DOE started issuing alerts on Friday December 14th, promising to cancel debt within 30 to 90 days. If you haven’t already submitted your Borrowers Defense application, then I’d suggest getting it in TODAY so that you have a chance of being included in this round of approvals! Who Can Take Advantage of ITT Tech Forgiveness? If you attended ITT Tech between 2006 and 2016, then you may qualify for ITT Tech student loan forgiveness benefits via either the The Borrowers Defense To Repayment program or the Closed School Loan Discharge program. In this Guide, I’ll explain how to qualify for each of these programs, giving you the details you need to determine which one will work best for you, explaining how to apply for the benefit, and giving you advice about how to increase the chances of getting your discharge application approved. If you went to ITT Tech and you want to learn how to eliminate your student debt, then you’ve come to the right place! Please read through the Guide below, then if you have any questions about the programs, feel free to leave them in the Comments section at the bottom of this page and I’ll get you a response within 24 hours. Let me give you one quick piece of advice – getting rid of your ITT Tech Loans via the Borrower’s Defense to Repayment Program or a Closed School Loan Discharge could take literally years, as DOE has gotten very bad about responding to applications in a timely manner. As I stated above, there are two ways that students who attended ITT Tech can get rid of their loans, without paying for them! Unfortunately, you cannot apply for both programs. Therefore, you’ll need to choose the student loan forgiveness program that gives you the best chance of actually getting rid of your loans. Let’s take a look at the specifics of each program below so that you can decide which one will work best for you. Click the links in the numbered list above to be taken to the specific section of the page covering each program. The Borrower’s Defense to Repayment Program was made to help borrowers get rid of debt that only exists because they were tricked into taking out loans in the first place, basically, by a school that committed some kind of fraudulent activity against them. 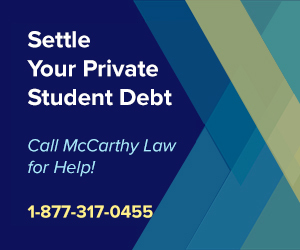 In the case of ITT Tech, who faces massive lawsuits and $560,000,000 settlement in response to their violations for committing illegal behavior against students just like you, Borrower’s Defense Discharges are readily available. The best thing about BDAR discharges is that they can completely eliminate your loans, meaning you won’t have to pay a single cent of the money that you owe, but there’s another added benefit as well: you may even be eligible to get a refund for the money you’ve already paid back! Remember, you aren’t the only person who was impacted by ITT Tech’s deceptive marketing practices – there are thousands of other students just like you who need assistance too, and I can tell you that in all honesty, you’ve got a great shot at wiping out your debt if you can just follow the Department of Education’s Guidelines for submitting your BDAR application. Before you get too excited, remember the most important part of the BDAR process: you need to link your Borrower’s Defense claim to the fraudulent activity that ITT Tech is accused of in the massive lawsuit filed against them, as this is the best way to convince the DOE that you deserve to have your discharge request approved. In order to do that, you will need to add details about the lawsuit into your Borrower’s Defense application, including monetary settlement figures and links to reputable sources containing information about the lawsuit and the settlement itself. Your BDAR application as an attempt to build a case against the school, so you’ll need to include examples of what they did wrong in order to win the argument, and earn your discharge. To get your discharge request approved, it’s absolutely vital that you pay close attention to the details of application process, and that you fill everything out perfectly, so let’s look at the application process in more detail. When writing your BDAR Claim, make sure to stress the fact that ITT Tech has been sued for violating the law by doing illegal things to encourage students to attend their school, and that you never would have borrowed any money to pay for ITT Tech courses if they hadn’t done something illegal to you personally. This is the most important part of the process! You have to prove that ITT Tech violated some Federal, State or Local Law directly against YOU, by lying to you, making some kind of false promise, or committing some kind of fraud. You’ll need to bring this up in the details of your BDAR Application, explaining exactly what you were told, promised, or shown, and detailing why that makes you eligible for a BDAR Discharge. This is the key point of the BDAR process: you will only get an approval for a discharge if you can prove that you only agreed to borrow money to attend ITT Tech because they committed some kind of illegal activity to convince you that it was a good idea. In the next section, I’ll explain exactly what ITT Tech did that led to the huge lawsuit filed against them, and which led to their eventual closing. If any of the things I outline sound like things you experienced, then you can use them in your BDAR application, so listen closely and write down anything that you remember happening to you. What Fraudulent Activity has the Art Institute Been Accused Of? A group of former students represented by Harvard University’s Project on Predatory Student Lending led the charge against ITT Tech, suing them for fraudulently inducing them to take on excessive student loans, and opening up the chances that these students could now file bankruptcy against those loans. But what’s really important here is that the lawsuit also opens ITT Tech up to Borrower’s Defense Discharge Claims, because it proved in Court that the school did some highly illegal things, including luring students into debt with false or misleading statements about the schools accreditation, job placement rates, and transferability of credits. In fact, ITT Tech was also sued by the Consumer Financial Protection Bureau in 2014 over the same issues, and in response to that lawsuit, the company was forced to close 140 campuses nation-wide, then initiate bankruptcy proceedings. This is why you can file a BDAR claim against ITT Tech; they were clearly violating the law, committing fraud, and getting students to borrow debt that they wouldn’t have taken out if they hadn’t been lied to, and this is precisely what you need to explain in your BDAR application. Did ITT Tech Do Any Of This To You? If you experienced any of the following illegal activities, then you definitely want to file a Borrower’s Defense Application against ITT Tech, because there’s a very good chance that you can win an approval. Were you lied to about ITT Tech’s Accreditation? Were you told that ITT Tech graduates had a specific job placement rate? Were you told that ITT Tech’s credits were universally transferable? All three of the statements above constitute illegal activity on behalf of ITT Tech, meaning that you can use these experiences as the reasons for your BDAR request. Just keep one thing in mind – do not lie on your BDAR application. In fact, don’t even exaggerate. This is a legal process, and if the school or its representatives, or the Department of Education can prove that you are lying, then you may open yourself up to major legal consequences. If you’ve determined that you’re eligible for a BDAR discharge, then you’llw ant to visit the Government’s official website for filing your application, here. Make sure not to file a claim anywhere else, or to submit your information to any other group or organization who claims that they can help you! Many of these operations are outright scams, and some are simply tricks to get you hooked on paying them for services that you don’t need. You should only fill out the BDAR application at the official website above, otherwise you may have your identify stolen, you may be charged for useless services, and you’ll certainly delay the length of time it takes to get your debt discharged. How Can I Check the Status of My BDAR Application? Let me warn you about one thing well in advance: it could take over a year, maybe even two years, to hear back on the status of your BDAR request. The Department of Education under Betsy DeVos and President Trump has been outright hostile to this program, and only begun issuing discharges recently after a Federal Judge ordered them to stop preventing approvals from being processed. However, don’t let this stop you from submitting the BDAR application, because this may be your best and perhaps even only chance at discharging your loans. I’m just letting you know this in advance so that you don’t get discouraged if you don’t hear back from the Department of Education immediately. Remember, the sooner you submit your application, the sooner you’ll hear back (even if takes a while) and the sooner your debt will be liminated! Anyone who attended an ITT school that closed down while you were still attending, or “soon” after you withdrew from the school, and who did NOT complete their program may be eligible for student loan forgiveness via the closed school discharge program. Closed School Discharges offer up to 100% forgiveness on the balance of any Federal Direct Loans, Federal Family Education Loans (FEEL Loans) and Federal Perkins Loans that were taken out to pay for services at the school which closed. But what’s even better is that you are also eligible for a reimbursement for all money that you’ve already paid the Federal Government for the services provided to you by ITT Tech or any of its related schools. If you qualify for an ITT Tech Closed School Loan Discharge, you may have tens of thousands or even hundreds of thousands of dollars coming your way! The eligibility requirements for ITT Closed School Discharges are quite simple. Basically – you had to be attending one of the ITT schools that shut down while it shut down, or have withdrawn from the school within 120 days of the shutdown. You must have attended one of the 132 ITT schools who are shutting down, and you cannot have already completed the educational program you were enrolled in at ITT. You must have outstanding student loan debt from one of the following Federal student loan forgiveness programs: Direct Loans, FEEL Loans, or Perkins Loans. Your ITT school must have closed while you were still enrolled – OR – your ITT school must have closed within 120 days after you withdrew from the program. As long as you satisfy the above requirements, you’ll eligible to receive an ITT loan discharge. How Do I Apply For An ITT Tech Closed School Discharge? First, you’re going to need to get and fill out the official “Closed School Loan Discharge Application”, which you can request from your loan servicer, or which you can download here. After you’ve filled out the form and sent it to your loan servicer (you can provide it to them via snail mail, email, FTP, or however else they tell you is acceptable – contact them first to find out what processes they support), then you’ll have to wait for their response to see if your application is approved. It’s seriously that simple! Get the form, fill it out, contact your loan servicer to ask how to submit it, then send it to them. DONE! Where Can I Download the ITT Closed School Discharge Application Form? Please note that this is the OFFICIAL United States Government form for the Loan Discharge Application for School Closures. In order to receive your discharge and have your debt forgiven, you’ll need to fill this out completely and send it to whoever services your loans. How Do I Find Out Who My Loan Servicer Is? Login to the My Federal Student Aid website, here. After you’ve provided your information to either the website, or over the phone, you’ll be told who services your loan so you can get their contact information so you can call them and find out where to submit your Closed School Discharge Form. Anyone impacted by the closure of ITT schools may also be eligible to receive money back from their state, via a program known as the State Tuition Recovery Fund. To find out if you’re eligible for a refund via this program, you need to contact your state’s “Postsecondary Education Agency”. Google your state name, plus that phrase (example: “California Postsecondary Education Agency“, and you’ll find out who they are and be able to sort out whether or not you’re eligible for additional refunds. Some people impacted by the closure of their ITT Tech School will undoubtedly want to continue with their education elsewhere, and it’s possible to retain the credits you earned from ITT and simply apply them to another school with a similar program. If you choose to keep your ITT credits (getting the Closed School Discharge does require sacrificing them), then you’ll have to work with the new school to make sure they will actually approve the ITT course work you completed to decide if you can receive credit for what you’ve already done. Once the new school has determined what credit you can receive, they’ll sort out what courses you need to complete at their institution in order to complete your program. The Department of Education is working with ITT Tech’s officials and the reps from other schools, as well as state licensing and postsecondary education agencies from each state, to help go through ITT student academic records from all 135 closed schools to sort out how to determine which students will remain eligible for continued federal student aid funding. Right now though, it’s basically a huge mess and nobody knows exactly how this part of the process will turn out, so if I were you, unless you were well into a program (nearing completion) I’d strongly consider taking the Closed School Discharge rather than attempting to transfer any credits elsewhere. There is simply no telling how other schools will respond to ITT’s coursework – you may not get approval for ANY of your credits from ITT, so why take the risk if you can get a full refund? Everyone impacted by the closure of ITT’s campuses (all 136 of them) is trying to figure out their options, and many great questions have already been asked of the Department of Education. Below you’ll find some of the most popular questions, with answers about how to proceed. Hopefully these will help you sort out your own strategy for dealing with ITT’s closure. My School Closed and I Lost Eligibility for Federal Student Aid Funds. What Can I Do? The Department of Education says that you have two options: you can either apply for the closed school loan discharge (explained on this page), or apply to transfer your ITT credits to other educational institutions. For most students, applying for the discharge is likely to be a tempting offer, but for anyone who came close to completing their degree program, and especially for those students who came close and didn’t rack up much debt, a credit transfer may be the better option. This is the last question people ask, but the first that should be on their minds, because the answer is a resounding YES, and it has wide-reaching implications. According to the IRS rules, whenever you receive forgiveness benefits for loans or other debt, you’re supposed to report that forgiveness as part of your “taxable income” on your IRS tax return. Which means that you’ll end up having to pay INCOME TAXES on the forgiveness benefit you receive, which could end up costing you a substantial amount of money. For details on how it all works, visit my page on Student Loan Forgiveness Benefits and Taxable Income Laws. Which ITT Campuses Closed Down? All of them! All 140 ITT Technical Institute schools have shut down. ITT Educational Services, Inc. does own another chain of schools called the “Daniel Webster College”, which will continue to operate as normal, but all “ITT” schools are now gone. Can I Transfer My ITT Tech Credits? Possibly. You may be eligible to transfer your ITT credits to another educational institution where you can receive credit for whatever work you’ve already completed, then work toward completing their similar program and getting your degree, certificate, or whatever it was that you were working on. To find out if your credits are eligible for transfer, you’ll need to contact the new school, provide them with transcripts from the ITT school, and see if they’ll accept it. There’s a chance that all, or none, of your ITT work is transferable, so this is a bit of a gamble. How Can I Get A Copy Of My ITT Transcript? Before the ITT schools close down completely, they’re required to provide access to your academic records, and to make them accessible indefinitely (meaning forever). Since this is all literally going down right now as I type this, there’s no information about how to access your transcripts yet, but the best way to find out how to get them will be to contact your state’s postsecondary education agency, or to look at whatever information your ITT school sent you over email when they explained the closure. How Can I Get Details About How Much Aid I’ve Already Received? You’ll need to login to the My Federal Student Aid Website, where you can find a complete record of the amount of money you’ve received in federal aid (student loans and other financial assistance programs, like grants, etc.). What Does It Mean To Get a Loan Discharge? It means that you won’t have to pay back any more of the debt that you owed on your student loan, and that you’ll get a refund for any payments you made previously, either voluntarily or through forced collection processes (like wage garnishments, etc.). It also means that your discharge will get reported to all the major credit bureaus, so if you had any negative activity on your credit report that was related to the debt, it’ll disappear and your credit will be repaired. If I Transferred From ITT And Finished A COMPLETELY DIFFERENT PROGRAM At A New School – Am I Still Eligible To Have My ITT Loans Forgiven? If the program you studied at the new school is considered to be completely different from whatever you were studying at ITT (that probably means you couldn’t have transferred any related credits from ITT to the new school), then you’ll be able to get your ITT loans discharged. You won’t be able to get a discharge for the loans related to the new school, but at least without the ITT debt you’ll be able to save some significant cash. What Is The Deadline For Applying For An ITT Discharge? I Think ITT (or another school) Defrauded Me – What Can I Do? If you’re worried about fraud committed by ITT – don’t worry – because your closed school discharge will wipe out the related debt anyway. If you’re worried about being defrauded by another school, then check out my page about the Borrower Defense Against Repayment Program, which operates similarly to the Closed School Loan Discharge Program, and offers complete Federal Student Loan Forgiveness benefits. I’ve built out this site to help explain all the nuances related to student loans, including both Federal and Private loans, so you should be able to find answers to any questions you have right here. If you have any other questions that you can’t find the answers too, please feel free to post them in the comments section below and I’ll do my best to get you a response as quickly as possible. 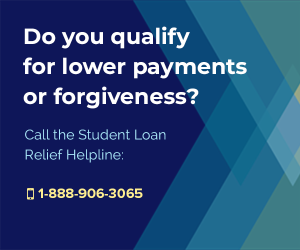 Alternatively, contact whoever services your loan to ask about their processes and your eligibility for forgiveness, deferment, or other relief programs, or call the free and Official Government-run Federal Student Aid Information Center at 1-800-4-FED-AID. If the information you found on this page was useful, then please consider supporting me by sharing a link to this page with your friends and family. 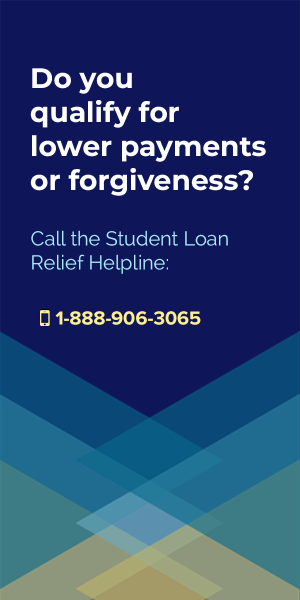 Post the site to Facebook, share it on Twitter, or even email it around to the people you know who are struggling with student loan debt. The more people who visit, the more time I can spend writing up content like this and helping people like you escape from excessive student loans. Thank you for visiting, and please check back soon for further updates! If you graduated before the school closed then you can’t use the Closed School Discharge Program to get rid of the loan. You should look into the Borrower’s Defense to Repayment Program instead. I attended ITT in 2014, a friend of mine had put me down as a reference, I was getting 3 phone calls a day until i finally picked up. I explained to the Rep that I am color blind and since most of their courses focused on electronics I wouldn’t be able to do any of their courses, the rep explained to me how they are much more than just a electronics school and offer many courses that do not have to deal with electronics or colors. I then explained that i had a good job with potential for growth and would not be interested ( I had said this no less then 3 times). She went into a pitch about how i could get my associates and then get a bacholors degree in project management that would help advance my current career or that they would be able to help get me another higher paying job (i found this odd since the rep had no idea what my company pays its employees). I decided to meet with the rep just to see what they could offer. Sadly i was a sucker and fell for their lies of being able to place me in a job with a better career path better then my own. In around an hour they had me signed up for a mountain on federal and private debt but was assured that once i get my bachelors degree I could be placed in a career with my new degree. Unfortunately i had to take a semester off due to a family emergency. I was told that it would be no problem to return the following semester. When i returned i was told that this was the last semester that my associate course (paralegal) would no longer be offered after the current semester and that the bachelors i had wanted to take was also being dropped. I was told that i could transfer my credits to another school, drive the 100 mile round trip to another campus that was still offering those classes or switch my classes to something else. I told them that i could not take other classes due to being color blind (all the classes they were offering were electronics or design neither of which i could do due to being color blind and i was basically told those were my only options. Now im buried in debt for a school i only attended for a semester and a half and dropped all the classes i was eligible to take. Is there any help i can get? The promise of a higher paying job is something that these schools are NOT allowed to tell people. I would try pursuing a Borrower’s Defense to Repayment Program Discharge if I were you. You need to read my entire post though because I clearly explain what you want to include in the application, and what sort of behavior on the school’s part counts as “illegal”. You’ve included all sorts of things that don’t really matter, like talking about driving distances and such – none of that matters. Your color blind issue may not apply either, so I wouldn’t make that the focus of your argument. 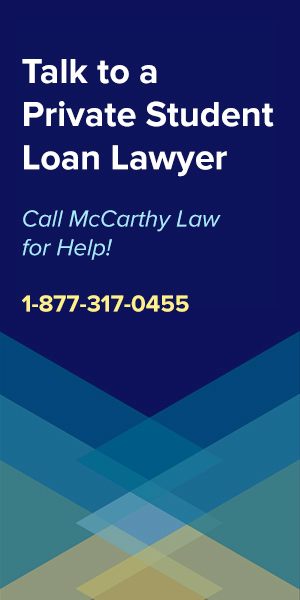 Remember though, Borrower’s Defense only helps with Federal loans, so for your Private debt, I’d call McCarthy Law for assistance. This is a group of attorneys who can get you a debt settlement on the private loans, who averages settlements at about 40% of the original loans, and who will then hook you up with a new loan on the settled amount. If you qualify for their program, you’ll basically save 60% on your private student loans, and get a new loan that’s in good standing with much more affordable monthly payments. Call them at 1-877-317-0455. My husband went to ITT from 97-99 and was told he could get a job even before he graduated and that once graduated they could promise he would get a job and they had a 99% success rate. He was told his credits were transferable yet when he tried to transfer his credits to a local college he was told his credits were not transferable. He had to enroll for the same classes he had already taken. He had a child in 99 and missed almost a month of classes at ITT and he was not recommended to drop the class and retake it they still put him through. after graduating his loans have been put on deferment or forbearance every year. This year we have had issues with navient as they were supposed to be sending us the paperwork to once again send us forbearance and we would get the papers and send them back and never get a notice saying one way or the other then they would call again and the process would start over well now he is in default. We have personally asked Navient about income based repayment because we had been told by a friend if we did that instead of deferment or forbearance that after so many years the loan would be dropped and Navient would say oh yes we will send the papers but then send for forbearance. This is soo frustrating. I am disabled so his income is our only income. What can we do to get this approved for discharge? The 99% success rate is definitely not allowed I would focus on that part of your BDAR application. You can also talk about the transfer credit promise that failed to turn out, as that’s basically another false promise or false advertising, if they specifically said something like “ALL of our credits will be transferable to other schools”. You need to be really, really specific about what you claim the school said, then fill out a Borrower’s Defense to Repayment Application. I graduated from ITT in 2010, I paid on my loans on and off through the 1st few years never touching the interest until SallieMae/Navient lied to me about my payment plan to have my cosigner removed after completing my end of the deal. I told them they would never get another penny from me. I haven’t paid a penny since “excluding my tax returns that they take”. I have been turned over to multiple collection agencies over the past few years. It doesn’t seem right that the school can be closed for fraud and the victims are left helpless because of an arbitration clause especially when the school refused arbitration appointments. Are your loans Federal or Private? Federal, I believe they had me take out private loans as well. I also started getting letter from Pioneer credit recovery who also called my job regarding 5 federal loans totaling $31K of the supposed $120+K that SallieMae/Navient claimed I owed for a 3.8 year BS degree. I assume Pioneer is the collection agency for this Ascendium. Should I send both companies Cease & Desist letters? ***Also This is important after posting I remembered and forgot to mention, I filed the BDAR a few years ago for my ITT loans on an online application linked from a site similar to this one back when one of the first lawsuits started but I still haven’t heard anything in response, at that time I don’t remember there being a “stop collections option and the collections never stopped after completing it. All I got was a confirmation page to print out that’s filed away. Am I able to refile? Cause after reading the info here my application that I remember was a shining example of what not to do. though I did also address the lies regarding cost, credit transfers from a prior school (Devry), job placement & wage rates ect. You need to figure out how much is Federal and how much is Private, because you’ll be dealing with these loans in entirely different ways. The options aren’t even remotely similar. Federal loans you can try to get rid of with all sorts of crazy programs. 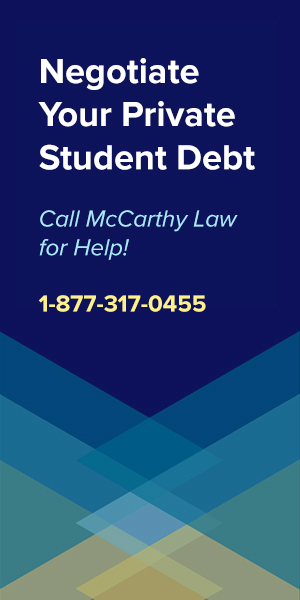 On that side, you should definitely look at my Guides on Federal Student Loan Defaults & Delinquencies, the Federal Student Loan Rehabilitation Program, Stopping a Federal Student Loan Wage Garnishment and finally the Borrower’s Defense Against Repayment Program. On the Private Loans side, there is VERY little that you can do. 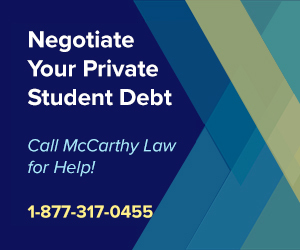 My advice is to call my Partners at McCarthy Law, who specialize in Private Student Loan Debt Settlements and Negotiations. They average earning clients a debt settlement at around 40% of the outstanding balance, and they have an excellent lender who provides bad credit loans that would allow you to immediately pay off the remaining debt once it’s been settled. You will certainly hear people saying this is a bad idea online, but those are people who have never dealt with EXTREME Private Student Loan Debt, which DOES require paying someone for assistance. 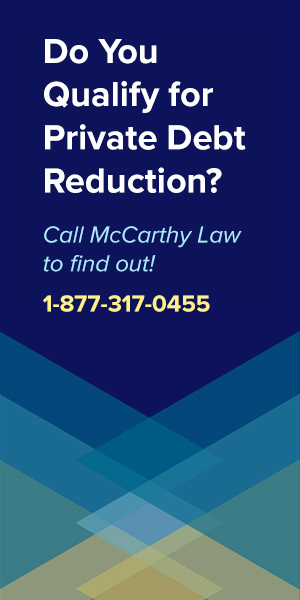 Call McCarthy Law at 1-877-317-0455 for details on their program. I PROMISE you will not regret going through them. I have filled out a borrower defense letter and I never heard back. Would you suggest I consolidate the loans and resubmit the borrower defense again? No – you should contact DOE to get an update on where your application is at. Don’t try consolidating until you’ve given them a chance to review the first letter. I’m hearing from people that it can take over 2 years to get a response. If I attended ITT Tech in 2003-2004 can I still qualify for some kind of forgiveness? That depends. Did you read the entire article? If you had, you’d know. I stopped in at ITT and met with a recruiter at the end of 2010 asking about Software Development. He talked to me about how graduates making over $60k in their first year. And other things. Then, he had me take a test. After, he told me I did an excellent job and only got one answer wrong (I now know that it was just a sales gimmick). He was very excited and said the school was just about to start their Winter Quarter and if I wanted to go to school there, I may have to wait until the Spring Quarter. Then, he told me to wait in his office. He came back a few minutes later with very exciting news…that he spoke to the “Dean”, I think I remember him saying and that since I scored so we’ll that they would be able to get me in right away for the Winter Quarter classes for Software Development. I was very happy and excited in the moment) And he had folder and another person with him. But, the questions they asked were read from a computer and I answered verbally. And at the end I signed at the end on a little signature box. I don’t remember ever getting a copy. Everything was moving so quickly. They got info to apply for school loans for me at the same time. Then he took me on a tour while while the loan Dept was taking care of finding me loans. At one stop on the tour we stopped where he explained that ITT works with companies for job placement, both while going to school there and also after graduation with a 90% success rate but, I’m very intelligent and should have no problem at all finding a job. After that we went and I signed the loan paperwork. I saw the interest rate on one of the private loans and questioned it. The loan guy said it was the best he could do at the moment…just to get me enrolled, but promised he could find me a better rate if he had more time. I came back later after I started and he never did. I also never had a copy of it in my paperwork. Then, the last week of the quarter I broke my leg and wasn’t able to drive. I talked to the school about what my options we’re… If I could take a quarter off and then come back and continue on where I left off, or if I should get someone to take me to class? They said that it would be fine if I took the quarter off and just returned the following quarter. So, when I went to do that, they told me that my Software Development was no longer being offered as a program. And I told them what they had said to me. And then they said, that I never should’ve missed that quarter. So, they lied to me about that and so many other things as mentioned above. Took advantage of me like a used car salesman. I have very, very little paperwork from them. I went to school there from December 2010-March 2011 in the Milwaukee area. Also, the main Greenfield campus was open but, I guess the school that I went to take my math class at – they closed that shortly after I left. It was a small school… maybe 5 classrooms. Does that count as a school closing? Gosh, this pitch sounds just like buying a used car. It’s crazy what the Higher Education (and especially for-profits) were getting away with in the early 2010’s. TERRIBLE stuff. That promise of making around $60,000 right away is not allowed, and constitutes illegal marketing practices, so I would certainly file a BDAR Discharge Application if I were you. Don’t include all the details about breaking your leg, being unable to drive, having to move back in with your mom, etc., etc. in your application though, because DOE doesn’t want to hear sob stories and they honestly don’t care about any of that sort of stuff. It doesn’t help at all. In your application narrative, focus on the fact that you were defrauded, made false promises, convinced to borrow money on lies, etc. This is how to get a BDAR discharge approved. Hi, I attended ITT Tech from June 2009-2011, received my Associates in Applied Sciences. I did very well, and interview even better, but none would higher me due to lack of experience. I’ve been paying back my loans since Dec 2011 ($321/mo, first to Sallie Mae, then Navient). I had heard of a lawsuit, but only just learned of the victory. Is there a way to get any of my money back? It’s very, very difficult to get refunds, so getting money back may not be possible, but there’s a good chance that you can eliminate your remaining debt via the Borrower’s Defense to Repayment Program. Hello, I went to Itt tech from Dec 2013-Nov2015, I Re-Enrolled on August 16,2016(I have my enrollment agreement) but did not start classes as they closed the following week. Will I able to get loan forgiveness? You may have timed things JUST right. If you were ACTUALLY enrolled at the point that they shut, then you should be eligible for a Closed School Discharge. Look at my Guide on the Closed School Student Loan Discharge Program for full details on how the process works. I would DEFINITELY submit an application if I were you, because I think you lucked out and WILL qualify! I was making 42,000 a year when I decided to go to itt. I spoke with the recruiter and he said the starting pay for CEET associate degree was about 50k a year. Well the first year after graduation I only made 35k for the year. I have no way of proving what he told me. Do I have a chance of loan forgiveness? If you were actually promised a set salary, then yes. You’re going to need to document this HEAVILY though in your BDAR Application. Make sure to include as much detail as possible, including where you were when you heard this, exactly what was told to you, who said it, what their title was, and how it impacted your decision to borrow money for the program. Good luck! I attended ITT Tech back in 2003-2004. I was almost finished with my degree, but I felt like the teachers weren’t giving me a proper education. All they did was read straight from a Power Point presentation and didn’t get too involved with educating us. Because I felt like didn’t get any learning, I dropped out of ITT Tech and joined the Air Force. To this day, I am still paying off a student loan I took out to attend. I only recently found out about the schools closing and possibly getting my loan forgiven. Would that still apply to me? No, per the Closed School Discharge Program, you only qualify for the Discharge if you were still actively attending courses within a short period of time of the school closing. Since you were there years and years and years before it closed, that’s not going to count. I have been keeping up with the lawsuit and reading the accompanying paperwork. It looks like the $1.5B settlement to ITT’s creditors includes student. Does anyone out there have numbers or an educated guess as to what of that will ultimately end up in the hands of disenfranchised students? I haven’t seen anything yet and I’m not sure that it’s even possible to guess. There are a LOT of hoops to ump through before this all gets sorted out. Yeah – even if they got a judgment stating they had to resolve this in 90 days… there’s so many ways for companies to extend deadlines, file appeals, cause problems for the legal system, etc. It’s possible that these proceedings could drag on for years. I THINK everything will be resolved in 2019, but it’s hard to say. Thanks, Tim. I’m not hoping for some huge windfall, but just to see it all resolved and even to get some sort of closure would be amazing. I know i qualify for the BDAR against ITT. Honestly, I have been looking for a service that will help with this and it’s basically impossible to find at this point. You may be on your own, but if you do have any questions, let me know and I can give you some basic advice. I think your only other option would be getting in touch with the Student Loan Ombudsman Group – a group of a Government-backed attorneys who provide free advice on student loan-related issues. Graduated from ITT Tech in 1999, been struggling with loans ever since. Im not sure how to get information or what to do with it being so long. But I know I was screwed. Is there any place to get someone that can help me with all of this mess???? What do you mean you were screwed? I don’t see how u would know if the school did something fraudulent agents u because when u see something from a school a document a form you don’t sit there and say this is fraud this is not right. That’s where you get taken advantage from it because you never really know so I would say yep they totally did something a illegal to anyone who went there they played on your idea you plans for the future to make u trust them because there get government fund and work close with them to get money and the idea your going to get you placement your education is going to get u somewhere that is fraud because I worked hard very hard worked towards my goal and got no where so tell me where that is not fraud. That is like a therapist telling social security this person is mentally ill to the point they can’t work they need ssi that mental therapist would be put in Federal prison they go through all the steps to say its really true legit and dot the i and the t so no one could prove other wise. So yeah everyone would believe them just because they say it so that’s how u are suppose to feel when u walk in there to further ur future and believe them u would never expect them to lie to u they would walk u to ur future were you’ll find u and who u are and feel confident about it I never got that. There are some very specific instances of fraud that people tend to use for the BDAR program – I outlined them in the post you replied to. Did you read the whole thing? If I attended ITT in 2003-2004…would any of this apply to me? I was sold the same pipe dreams as many others and started there because I was recently laid off…and I attempting to enhance my marketability in the future for better jobs. Just wondering if I would also qualify? You’d need to provide much more detail about the “sold the same pipe dreams” piece. What were you promised? want to start by thanking you for this site you’ve build here, like many others I was also a target to ITT Tech I finished my associates in 2014 and immediately started the bachelors but had to stop in 2015 because I had to work and the school did not have any day classes and I interchanged endless emails with the dean and the chair of my program but they never helped anyways 6 months after I stopped had to start paying the loan back then sally may, they consolidated all my ITT Tech loans into 2 loans an unsubsidized and subsidized loan I paid for few months then had to stop because lost job so they put me in forbiddance, and of course then the school closed and because it was over 120 days I was denied school closing discharge when I put claim in back in 2016 then in 2017 I put claim thru the fafsa website and explained to them what happened to me and why I should get my loan discharged under borrowers defense, I was misled by financial aid advisor and introduction recruiter, the financial aid adv told me that with good grades I would get scholarships that will eat up all my loans (she told me in 2 occasions) every time there was a year end review for the financial aid and I included her verbatim in my claim since I have to physical proof other than myself since all was verbal transactions, I never heard back from fafsa so now Navient wants payments to start next month because loan is out of forbiddance, with your article I see that I can also claim that was misled by recruiting which they told me that I have a guaranteed job placement in my field like so many others this was also told to me verbally, do you thing I should re apply for claim and if so should I do it on the link you have posted here or thru fafsa again. I would focus on the guaranteed job placement part, because everything else that you mentioned is not fraud. I’d submit a Borrower’s Defense to Repayment Application focused specifically on that false claim – if they guaranteed job placement in the field, you should be able to get an approval. I want to start by thanking you for all tools and information you have introduced in this website if only I would’ve seen this earlier than today. Well I’m my case I graduated 2014 associate degree and started bachelor on same year but had to stop because they did not offer any day classes and I needed to work to pay for all my family expenses well 6 months after I graduated I started paying loan because I did not continued taking the classes Sallie may forced me to consolidate all the loan that itt tech issued so I have 2 loans a subsidized and an unsubsidized loan I paid for about 8 months but then I had to stop because I lost my job so I put my loan in forbearance because I couldn’t pay then the school closed and I applied for the closed school discharge got denied because I was not attending within the 120 days, then I applied for the borrowers defense I applied thru the fafsa website, I never got a response so now they want me to start paying next month I have accrued a huge amount in taxes as you can imagine, well on my application for the borrowers defense which i did March 2017 I explained that I was misled by the financial advisor in numerous occasions and once by the recruiter or what ever title they have for the person that explains everything before starting. There is no email exchange or letters just conversations, Just like one of the fellows that posted question here but in my case I was told that if I maintained a 4.0 GPA I would have my loans eat up so i wouldn’t have to pay loan i was told this in several occasions on review time before starting semesters i included this in my claim and that I maintained said gpa, but looks like they did not take it in consideration, I did not mention the job placement guarantee on the claim because I did not thought about it, as you know these things are highly stressful to fill out but as I read thru your site looks like it’s a good point and like me many others were misled in that front. So is it ok to reapply and if so should I do it thru the fafsa site or the site you point out here. I see a lot of complaints here about vague things, but nothing that actually constitutes fraud, other than the job placement guarantee. That is the ONLY thing you mentioned that I think would qualify you for a discharge. I attended ITT Tech 2006 -2008. This was when Sallie Mae was purposely granting loans to low income students to cushion their portfolios for investors to buy more stock. The amount that was projected to be the cost of tuition changed without notice to students. My campus was Raided by FBI in 2005 for suspected Financial Fraud. I found about this in my 2nd semester after they threatened to drop me from my course due to lack of funding. They had me take out over 16,000 in loans that I did not qualify for but was somehow approved. I requested my financial records to see how much Grant Money went towards my tution. The financial aid department returned my records with the disbursement dates and disbursement amounts all blacked out. It only showed the amount of loans that were deposited and applied. After graduating, ITT withheld my diploma stating I owed them 17.00. That went to collections. I was being threatened of wage garnishment, so I requested my student file. When I received it…I couldnt believe how much money ITT received on my behalf. It was enough to cover all but $3000 of my tuition! I have extensive proof and records of ITT lying to me about not having enough money to cover my tuition when I actually did…(thats why those colums were blacked out so I couldnt see the disbursement dates or amounts on my records) If I had the knowledge of how much money they intercepted from my grants, I would never have made the decision to take out 16000.00 in loans! But they purposely withheld that information from me to make me think I had no funding. Now Im in debt 30,000. Does that qualify for BDTR? Maybe, but it sounds like a very complicated story and I don’t think you’re doing a good enough job of explaining what the actual fraud was. My advise would be to hire an attorney to help you write this up if that’s the story you’re going to go with. Or, you could look for other things to use as evidence – were you promised anything about salary after graduating? Did they lie to you about job placement rates? How about the other stuff I’ve mentioned in my article? Those would be much, much easier to explain, and in my opinion, give you a much better chance of getting a BDAR Discharge approved. I graduated from that school and I paid all my classes off!! I never got accepted for a job with that degree I got from that school. How can I get the money back that I paid for the school? It’s almost impossible to get a refund, but you could try to pursue a BDAR Discharge. What if your parent(s) were witness to the conversations that took place during the applications processes. You said its a legal proceeding so can they be used as an eywitness’ testimony? The way the BDAR Program works is that the application is all written, so I don’t know if you can do stuff like calling a witness to provide eyewitness testimony. I also have a feeling that the DOE wouldn’t accept their testimony because they’re related to you, but I’m not entirely sure. Try contacting the Department of Education directly via the BDAR Hotline (1-855-279-6207) and see what they think. I went to ITT tech and was majoring in “Software Development” program, I earned 93 credits and then the school got closed. I transferred my credits to UMUC and selected “Software Development and Security” as major, they only approved 63.00 credits, I continued and currently at my last semester to graduate. Please advise if I can get rid of my ITT loans. Because you transferred your credits, I don’t think you’re going to qualify for a BDAR Discharge. If you graduate, you DEFINITELY will not qualify. I would contact your loan servicer to see what they think, I’d also ask the financial aid people at your school, and maybe even call the Department of Education or the Student Loan Ombudsman Group lawyers to see what they think as well. * I was told our degree is accredited and credits could be transferred. I was also told once I graduated from ITT-Tech, their career services department has “ connections “with many companies (including Law Enforcement) to assist with getting those jobs. I was told they will hire someone out of their program before they hire someone with out a degree because they have a partnership. This was very believable. I graduated . ?Once I graduated and began the hiring process my degree was not even accepted because it is not an accredited degree. This for profit collage pulled out student loans in my name for their benefit where I got shafted in the end with a piece of paper that is literally worthless. ?I was even told by our Dean & instructors that the ITT-Tech Criminal Justice program was one of the best,comparable to our local college the exact same.When you hear things like this it makes you feel secure that you can go to this college and get a great education that will take you far in life. All this has done for me is put me in debt, has put my career on hold because these student loans are killing my credit. ?The repayment plan was totally out of my income level. I was in my 50s when I went to ITT Tech, I am now 65 and retired living on a small monthly check. I am also a convicted Felon. I was taking care of my Mother who was dying and I was unemployed. I was told by prospective employers that they were looking for young people with a little bit of experience. It would have been impossible for me to get a job in Criminal Justice because of my conviction.. There is just no way. These loans have not allowed me to get a career. I was also allowed to cheat on the final math test so I would pass, the teacher allowed me to copy a students test who passed. I was given a D-. I forget the teachers name but it shouldn’t to hard to find. ?? The accreditation issue is a good one to focus on for a Borrower’s Defense application. If they LIED to you and said the program was accredited, but it actually wasn’t, then that should qualify for a BDAR Discharge. I went to ITT Tech between 2010 – 2012. I did not graduate, I withdrew. I mainly enrolled because I came from a low income family and wanted to better my life and kept seeing promising commercials about how much people improved their lives once they attended ITT Tech. When I met with a recruiter, she asked me a lot of questions and told me that 90% of ITT Graduates get jobs and that the program I was interested in would lead me to a job making over $60k+ a year. This is the reason I enrolled. I wanted to better my life and make something of myself. I don’t have any of this in writing because the conversation happened in person and I don’t recall the name of the recruiter. Do I still have a chance of being approved for borrower’s defense? I also have been continuously making small payments on my loan based on my income because I don’t want to default and ruin my credit but I heard that unless you default on your loans you probably won’t be approved for the borrower’s defense. Do you know if this is true? Those claims – that 90% of ITT Graduates get jobs in that specific program, and that you’d be able to get a job making over $60,000 a year – were illegal. This is exactly what the lawsuits against ITT Tech and the other big for-profits are all about. You should put as much detail as possible into your BDAR application. Try to remember where you were when you were told this, when it happened, who said it, what their position was, and how it impacted your decision to borrow money to attend the school. You have a good potential case here. Betsy DeVos tried to change the rules so that you had to default on your loans before you could apply, but that effort failed. You can absolutely apply for a BDAR Discharge even if your loans aren’t in default. Thank you so much for the reply!! I appreciate your feedback. I will definitely apply for a BDAR. I was told when signing the loan paperwork that I would be able to start repaying once I graduated, and that it would be a 10 year payoff of the loans. Some of them are, but I just looked last week and some of them say they won’t be repaid until 2033… I have been paying them every month since I graduated, so there was no forbearance or hardship on my side, so would I be eligible for the BDAR in this case? This sounds like you might have a case, but it would really depend on exactly what you were told, and how that impacted your decision to borrow the money. I think you’d have to be very specific about what they said on the whole 10 year payoff deal. It sounds like a bit of a stretch to me though. Tim, I attended ITT TECH, in Troy, MI. I was pursuing an associate’s degree in criminal justice, then I came across some rough times. I took some time off in 2011/12. I wanted to go back and at least finish that degree, but by the time I was ready, the school closed. I should’ve seen it coming, by it being a ” for profit” institution and all. How do I find out how many credits I accumulated? You should still be able to contact some entity associate with ITT Tech to request a transcript. I’m not familiar with the process for every school, but there should be a way to get one sent to you. Do a little Googling and I’m sure you’ll be able to find someone who’s been in the same boat and can give you more specific advice. My husband attended ITT in the 90’s and was told about the good job rates after school. He graduated and then they told him theres no jobs in ur state, but u could move. The loans have been consolidated. Would this qualify? If he was promised false job placement rates then he has a good chance of getting an approval. Tons of for profit schools are being pounded by lawsuits from State Attorney Generals and the Consumer Financial Protection Bureau for this very reason. You need to explain IN DETAIL exactly what was promised, who said it, when it was said, and how it impacted his decision to borrow money to attend the school; go into as much detail as possible in your explanation! Remember, you’re trying to convince someone from the DOE that you deserve a discharge because of fraud committed against you, and this is a legal process. If all you said was your comment here? No way. Hello there I attended ITT 2009-2011 and graduated and still paying loans. I was told in the beginning that my credits would be transferable and that I would be guaranteed a job placement once gratuated, only to find out that they’re not accepted at a university and never got a job placement the way they promised. 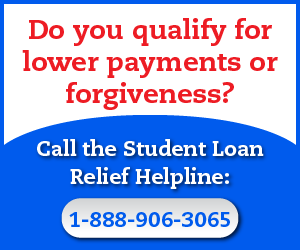 Would a qualify for loan forgiveness? That school was honestly a waste of time and money. They would always cancel classes. It’s possible that you would qualify, depending on what exactly they said about the transfer credits deal; did they say you could transfer them ANYWHERE, or did they just say that they MIGHT be transferable to SOME other schools? The specific details of what you were promised are extremely important here. The part about job placement isn’t a very strong case, unless you’re referring to their claims about job placement rates? If they advertised FALSE job placement rates to you, then that is something you should definitely include when you Apply for Borrower’s Defense. I went to ITT during the mentioned time period and graduated with an associate in drafting and design. I wanted a bachelors degree in project management but they told me I had to get an associate in drafting and design first. I had already began going for my bachelors in project management when ITT closed. Do I qualify to get rid of my loans? I didn’t even want the drafting degree. This doesn’t sound like fraud was committed against you. Read my post again and look at the examples of what people are using to get a discharge approval. You won’t be approved if this is all you claim on your application. So. I completed the ITT programs. And I am currently on the public service loan repayment plan? Would I be able to sign up for the closed school discharge (due to the deceptive practices)? Would it mess up the replayment plan I am currently on? If you completed your program then NO you will not be eligible for a Closed School Discharge. That only works for people who did NOT graduate before the school closed. If you’re talking about deceptive practices, you’ll want to look into applying for a Borrower’s Defense Discharge. Thank you for this article. It was very informative. I have a unique situation. My husband attended ITT from 2011-2014 for his associates. The only reason he went to ITT was because he wanted to eventually get his Bachelors in Engineering. He was told the best way was to complete his associates first and if he got good grades he would get a grant for his Bachelors degree so it wouldn’t cost him anything. After graduating with his associates he spent 2 years looking for jobs, jumping between temp jobs because that’s all he was getting. In 2016 he enrolled in the school for his Bachelors ( he has a signed enrollment agreement as proof) but before the classes started the school shut down. Now he wont ever be able to get his Bachelors because the credits wont transfer. He is basically starting over at ASU. Does he qualify for the Close School Program for the time he was getting his associates, because the only reason he did that was to go back and finish his bachelors as they told him to do. He was enrolled and about to start the bachelors program and has proof of that. Or should he apply for the Borrowers Defense because he was told a lot of lies about job placement, that the school works with companies (which it didn’t) and would get him a job making at least $25 starting (which was again false.) One of the career placement counselors also told him that there must be something wrong with him because he kept getting laid off. He was only getting laid off because he had temp jobs that would end after six months to a year. This definitely sounds like a potential approval case for the Closed School Loan Discharge. Now, if he did not qualify for that, I’d push for the Borrower’s Defense Discharge AFTERWARD, if the Closed School doesn’t process. I would go for the Closed School first since it just received a ton of funding, and the approvals process is way faster/easier. It sounds like you guys might just luck out, so get that application in quickly and keep your fingers crossed! Come back and let me know how it goes! I have consolidated my loans. Will i still be able to have the money from ITT reimbursed? That’s tricky – consolidation oftentimes ruins eligibility for these sorts of benefits. Which program are you trying to get a reimbursement through? What kind of loans did you have before, and what kind of consolidation did you do? I submitted the BDAR before this case was won. Do i still have a chance for it to go through? Or can i try resubmitting? What are your thoughts? Yeah, you can definitely still get an approval. If anything, this case being resolved increases the odds that your request will get approved, because it provides more evidence that the school committed fraud. I graduated from here and they refused to give me my transcripts ,claiming I have a unpaid balance. I tried to continue my education the schools I applied for would not transfer credits. And I was told that my credits are transferable. I want to obtain a lawyer. My mother has also been affected by the loans. Income tax, garnish wages from job. Please if there is a lawyer you know of that can fight this case, please advise. 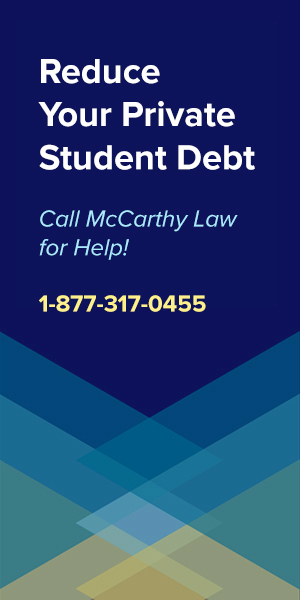 I would try contacting the Student Loan Ombudsman Group, which is a FREE service from Government-backed attorneys who offer legal advice on student loan-related issues. Google their name to find their contact info. If you receive the Bdar will that mean my associates degree or any credits are not valid. Will I have to start over? No. Getting a BDAR discharge wont’ invalidate your Associates Degree, but it WILL prevent you from being able to transfer your credits to another school, so yes, you’ll end up starting over on anything left unfinished. I was told ITT was accredited and that loans would be transferable. This was told to me over the phone and in person, and isn’t really able to be proven with documents of any kind. Do you think I have any chance of having my loans forgiven without this proof? YES! Even if you can’t find a written record of these claims, you can document them down to the finest detail and make it look as legitimate as possible. What you should do is include the date, time, location and person who told these things to you, as well as DIRECT QUOTES of specifically what they stated. You need to show as much recollection as possible to make it absolutely clear that you were promised things you shouldn’t have been, and that a crime was committed against you! 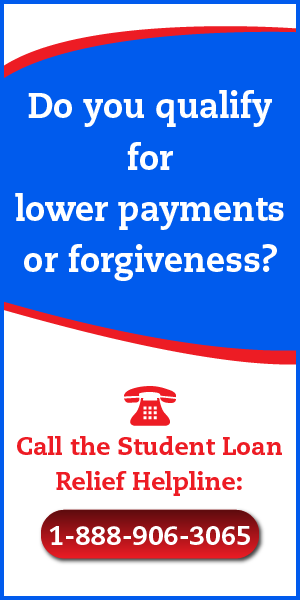 Are students that attended online only elgible for loan forgiveness? No, both online and traditional campus-based students are both eligible for loan forgiveness benefits. Something I did not see was what to do if I’ve already paid the loans off? Would a BDAR still apply and enable me to get a refund? In some cases, yes, BDAR is offering complete refunds, or at least partial refunds for debt already paid down, or off. It’s harder to qualify for though. I became disabled while attending ITT in 2014. As of now my status is deferred payments. I am still disabled so what happens with my loans with this Supreme Court decision to get my loan forgiven? Are you Totally and Permanently Disabled? There’s a discharge program for people in your situation, called the Total and Permanent Disability Discharge Program. Google that and you’ll find an answer. I went to ITT Tech during the mentioned time period. After graduating I did manage to pay off my loans. Would I still qualify for any form of repayment as a part of the debt cancellation? Yeah, it’s possible that you could qualify for a total or partial refund. I’d still apply if I were you. Went to ITT and graduated in 1999 I was promised job placement after graduation for which I never received. I was also told my credits would transfer to any other college but when I enrolled in another college I had to repeat the classes as non of the credits would transfer. My loan was taken over by Navient and since 2002 they have repeatedly signed me up for forbearance. 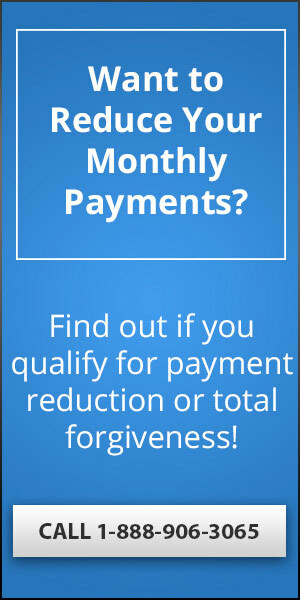 I have repeatedly asked about the program that if you qualify for income hardship forbearance for so many years in a row your loan is forgiven and they repeatedly only send me the paperwork for forbearance. I would love to know if I qualify for my loan to be discharged/cancelled. You might qualify for a Borrower’s Defense Discharge against either ITT or Navient. Against ITT because of the promises they never backed up (though these are kind of weak arguments…) and against Navient because of the bad advice of enrolling you in Forbearance instead of offering better options. You need to keep a close eye on the Navient Lawsuits, because their conclusion might be really helpful to you! I’m in the same boat as Jeff, but I graduated from ITT in 1992. Do you thing I’d qualify as well to eliminate my massive debt through the years? You won’t qualify for a Closed School Discharge, but you may be eligible for BDAR. It all depends on the specifics of your story, the view of the DOE reviewer who responds to your application, etc. I think it’s worth taking a shot at it. I started ITT Tech in 2004 and graduated in 2006. 1. Can I still apply because some of the things they told me vs what really happened were not correct and because I graduated in 2006? 2. Would parent plus loans apply to this? And thanks so much for all your information and research! I would definitely pursue a Borrower’s Defense Discharge against them. Parent Plus Loans are tricky. Contact the Student Loan Ombudsman Group (a free, Government backed group of attorneys) to ask if they apply in your specific case. Google their name for their contact info, then come back here and let me know what they said after you find out. Good luck! SO, if you finished the ITT Tech program you were enrolled in back in 2011 but have been paying off your student loan debt, are you eligible for forgivness? Also, what if the person re-financed the loans with a private company? If you refinanced the loans with a private company then you’re most likely out of luck. You most likely would have been eligible via Borrower’s Defense to Repayment had you not refinanced, or consolidated Federally. Sorry to be the bearer of bad news. If you graduated from ITT and was enrolled at the time they said they were fraudulent with students taking out loans from the time period specified, are you eligible for loan forgiveness and part of the lawsuit? It depends on if you had fraud committed against you personally. Just being there isn’t enough to qualify for a Discharge. You have to prove that the school did something illegal to you. You may need to speak to an attorney for assistance with that part of the process, but it depends on if you paid them back, if you’re in default, etc., etc. There are tons of issues surrounding credit reporting.